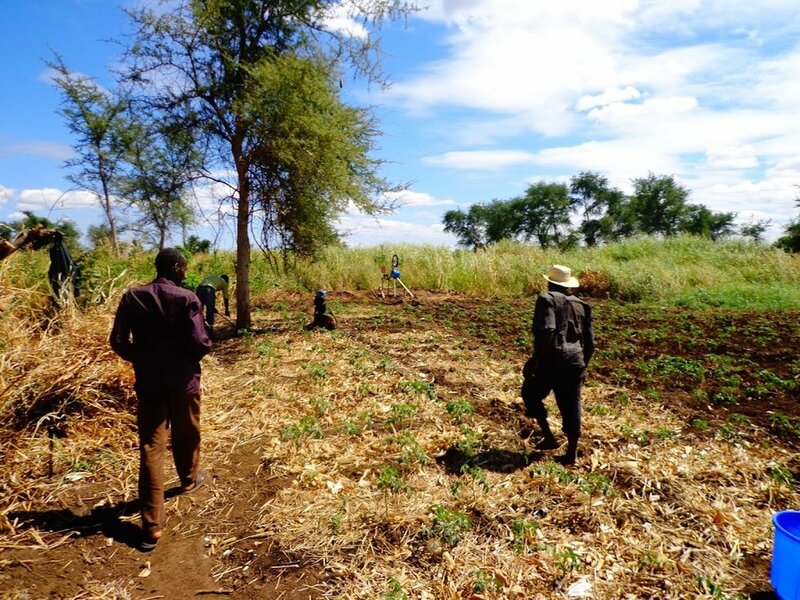 The Mziza Farming Club is getting into irrigation as early as possible this season. On Monday this week, we delivered farm inputs which the farmers accessed through a revolving fund for input loans. In order to access the loan, a farmer was required to participate in irrigation training and plant at least two season under the new irrigation techniques. Farmers who proved that they could be successful irrigation farmers could then apply to receive inputs to expand the size of their irrigated gardens. Each member will pay back the loan over two consecutive planting cycles this season. In this way, the loss of capital incurred by paying back the loan is mitigated by the extra income of the second planting. In other words, with two planting cycles it is easier to balance the crop yield between: 1) paying back the loan, 2) eating a balanced diet at home, and 3) using income for other purposes (e.g. paying school fees).